A recent survey conducted by UK university students suggests investment possibilities and success for diving in Malta. The study also revealed local concerns about sea quality – with oil contamination, over-fishing and governance forming major issues that need improving for long-term sustainability. In March, a group of 11 postgraduate researchers from Durrell Institute of Conservation and Ecology, in England, visited the Island of Malta to research the impacts of dive tourism in Malta. They spoke with leading experts in the field and surveyed local residents, dive businesses and dive tourists. The study was carried out in 4 main locations: St. Pauls bay, St.Juliens Bay, Melieha & Sliema. Research findings suggest there are great possibilities for dive tourism, with Malta one of the top dive locations around the world. 94% of divers in Malta favoured the sunny island as a repeat diving destination. Local businesses that took part in the study supported tourism brought to the island and see its benefit for Malta’s economy with 80% agreeing diving should be promoted by the Maltese government. Malta’s economy depends on services, trade and foreign investment and tourism contributes substantially to the local economy. Over the past 5 years the island has seen an increase in divers, and local dive businesses predict an expansion in the near future. At the forefront of debate were discussions on the impact that diving may be having on the marine environment as well as conflicts that exist within the marine community. 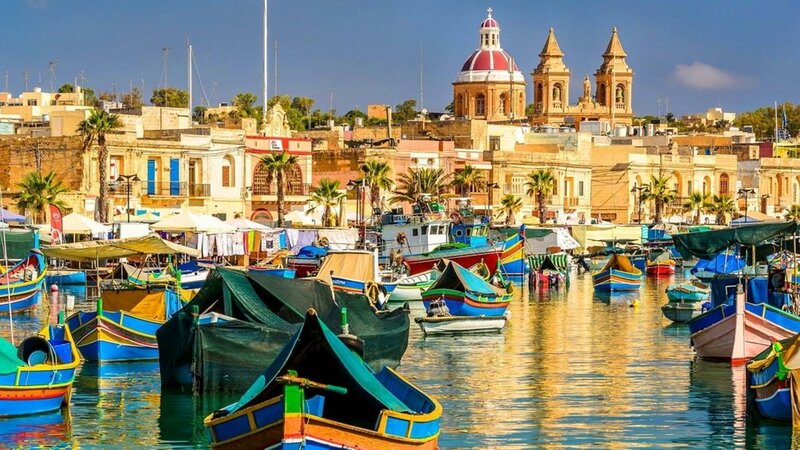 Since joining the EU, international pressure has increased on the local fishing industry; with higher demands, commercialisation, illegal practices and an increase in trawlers to Maltese waters. Competition between fishermen leads to over harvesting and fish stocks have greatly depleted in recent years, causing damage to the marine environment. Most interviewees, including a local fisherman, stated that conservation priorities were compromised for shortsighted economic gains from fishing which poses a threat to diving and the future of fishing. The Ministry of Environment and Planning Authority (MEPA) & Fisheries representatives are currently in discussions, in the hope to introduce ‘fishing tourism’ – allowing local fishermen to carry out fishing trips for tourists- this could create a better working relationship between these two sectors offering solutions to overfishing/competitive markets, although this is a long way off implementation. As marine tourism thrives, it is difficult to make allowances for industries which damage the marine environment. Although it is not the wish of the diving community to make fishing obsolete and all parties would welcome solutions for better working relationships, where a common platform for fishermen and divers could address any concerns. Both fisherman and divers share a common conflict with pleasure boats and commercial tourism boats across various sea locations in Malta. Anchoring is a major problem, causing damage to the reefs as there are no restrictions on anchoring points. MEPA and Malta Transport are currently discussing plans to limit any damage, introducing fixed anchoring sites. However, this may take some time from planning to implementation stage. Maltese residents listed oil contamination as the number 1 threat to their waters. MEPA are currently compiling management plans for the Marine Protected Areas surrounding Malta but implementation is some way off. As a whole, diving is not seen as a threat to the marine environment and those stakeholders interviewed did not have any major concerns with diving capacity at present. There are also some great diving initiatives set up to improve marine awareness and provide beach and ocean clean-ups. As a successful diving industry requires a healthy marine environment with high biodiversity and low pollution, the success of the Maltese dive industry depends on alleviating these threats. Not only do fishermen and divers need a better working relationship, but all stakeholders using marine resources need to work together in the future to improve communication, protection of dive sites and enforcement for better management of the seas. An investment in the dive industry could bring more tourism, economic benefits and new opportunities for local people. Diving also supports marine biodiversity with its low impact use of the marine environment and awareness schemes.